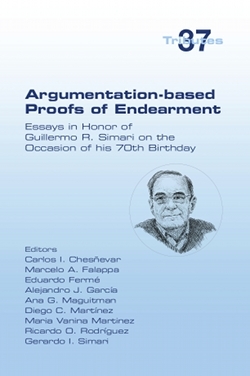 This book is a Festschrift dedicated to Guillermo Ricardo Simari on the occasion of his 70th birthday. It contains contributions by his students, colleagues, and friends. The articles, written by computer scientists, mathematicians, and philosophers address recent research in the area of knowledge representation and reasoning, in particular in topics such as argumentation, belief revision, and non-monotonic reasoning.